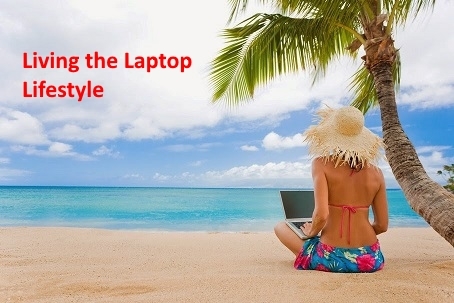 and Live the Laptop Lifestyle! So many people are struggling to make their Online business work and they are not getting the results they want. What I wanted to share with you and many other people are the simple Basics that the Guru’s and 6 and 7 Figure Masters did to get to where they are now. They did not have any special gifts or talents than you have, simply they found a simple Recipe for Success that worked for their Personality Profile and they took Massive Action to make it happen. I want to give you that Recipe FREE of charge. There is a Price to Pay, often in Time and Energy. Also in Money if you want things to happen faster. Pay that price and you too can have the Life of your Dreams. You must sow before you reap. The RECIPE in it’s simplest form is this – You must give before you get. Give heaps of Information and value, and People will join you in Business and buy your Products. Sorry if you were looking for a more complex formula or system to obtain. But I will give you much more in a simple step by step RECIPE you can follow in this website. Checkout page ‘BizBasics’ for more detailed information. At present you may have been involved in one or more Businesses. You maybe on so many Email lists that you are in information overload at present and not knowing which way to turn. You may be jumping from one opportunity to another thinking that this will work much easier and pay much more money. Well the truth is you can make any business or any opportunity work for you if you will just be patient. Put in the hard work and take time to grow your business, OK. There are no Get Rich Quick Schemes or shortcuts to making money fast. Many ideas are simple to understand but not easy to implement. You are being promised the world and are being sold to over and over again by clever emotional marketing and you don’t even know why you gave them your credit card details. Am I correct? As a starting Point for you, let me suggest the Key to Online Business is Branding yourself and Building an Email list of your very own before you promote any Business Company or product, OK. You need to setup a Sales Funnel in which to run your business through. See the page ‘Newbies’ to see all the building blocks you need to have in place to have a successful business. Take time to write down on paper what it is that you would love to become a master at sharing Information with other people. What is it that you can do to help people do better? This is the key to getting people to know like and trust you, Join your Team and then buy your Products. Generating Leads and Getting Traffic? Creating Capture pages and setting up Auto-Responders? Designing Lead Magnets or Front end Offers? Doing Marketing – Free or Paid,? Showing people how to use one of the many Marketing Methods? Working with High Ticket Offers? Showing people how to follow up effectively? Teaching people how to Train their Teams? Or whatever else you have skills with at present or would love to be interested in. – 1. Knowing where to Start? – 2. Working out what to do next? Lead Magnet, Trip Wire, Offer, Auto-Responder, Upsell, Downsell, Email Followup, etc. ? – 4. Working out what is the best Product to Sell? – 5. Making your Business work? – 6. Getting Leads, Traffic and Conversions to Your Business? – 7. Working out how to Build a Website and Funnel that Converts? – 8. Scaling up your Business and getting it to work on Auto-Pilot? Well you have come to the right place. Here at Online Business Info I do just that. Give you Information, Training and Support, Tools and Products to Build your Online Business and make the Income you want. We endeavor to show you all the building blocks you need to Build a successful Business online. You can use your existing Products and Tools or add some of the ones I recommend. If you have specific questions then join our facebook group or contact me direct on Skype – Lifestyle_Col. So I can help you much better would you mind filling in this Form below and clicking on the “Submit” Button.